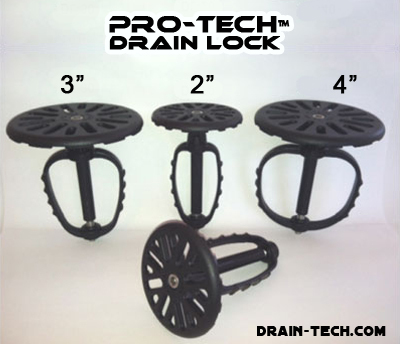 The Pro-Tech™ Drain Lock offers a tamper-proof solution to keep solids, debris, and trash out of the drains and plumbing system. No more calling a plumber and waiting for them to arrive. No costly plumbing bills! Available in flat and domed models for 2", 3", and 4" drains. Perfect for restaurants, commercial kitchens, grocery stores, and more!